Astrology requires effort to grasp its language and method. This creative Art also benefits from intuitive sensibility and applied common sense. Through an ongoing series of stand-alone ‘Intensives’, we aim to offer provocative learning events, with focus on key topics essential to core understanding. At every Intensive there is opportunity to engage with the subject and ask questions. To continue thoughtful review, each participant receives relevant handout material and a digital copy of the slide presentation. This educational endeavour seeks to inform through engaging with authentic sources, encouraging open questioning and practical learning. Embedding and reinforcing sound principles has always been critical in acquiring any skill. The primary goal is to foster and encourage doing astrology better. Each one of us grows through a layering of knowledge, remaining willing to revisit, re-vision, and evolve. The Astrology Project is about sharing information, presenting unique and thoughtful perspectives in this field for which there is common enthusiasm, all offered in the spirit of deepening astrological awareness. 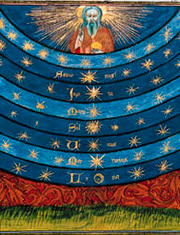 Astrology is a knowledge transmitted over ages, balanced between the sacred and science, possessed of a unique character and role in human affairs. It acts as a guide to life, informing us of our identity and purpose, preparing us for potential futures, supporting insightful digestion of our past, aligning us with the flowing eternal present. In simple terms we literally read the sky which speaks. The passionate efforts of many visionary people worldwide now afford a privileged opportunity to ‘stand on the shoulders of giants’ – poised at today’s cutting edge – to gaze into the future.